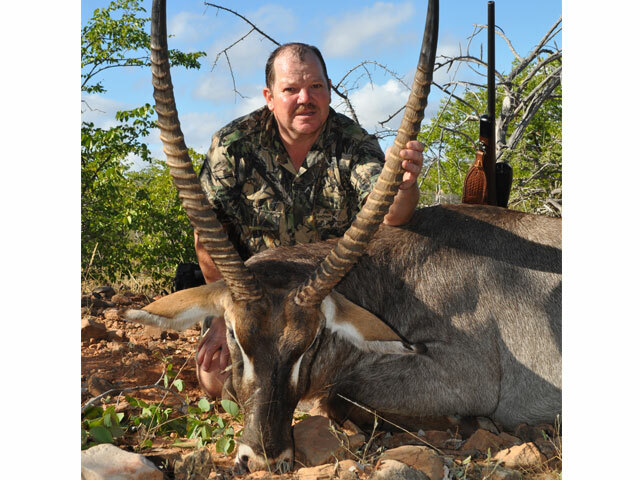 Kudu, hunted by Henna Du Plessis with a 300 Win loaded with a 165 gr Peregrine BushMaster bullet from 76 yards, frontal shot. 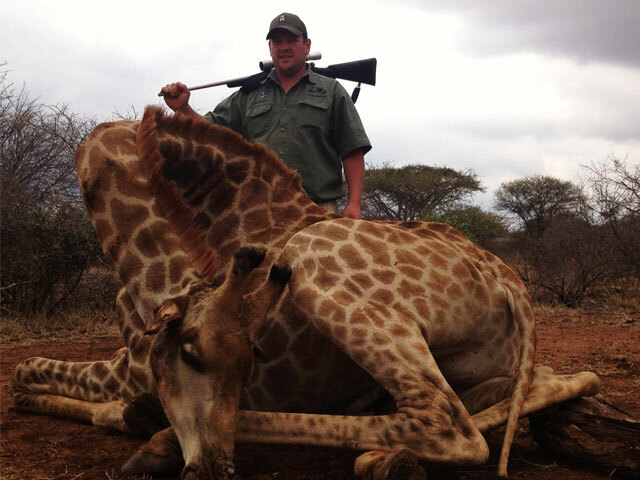 Giraffe hunted by Frik Du Preez Jr. with a 308 Win, loaded with a 180gr Peregrine BushMaster bullet from 40 yards, broadside shot. 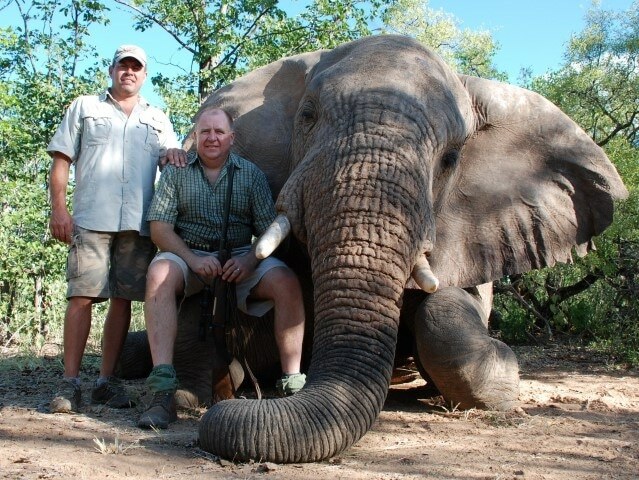 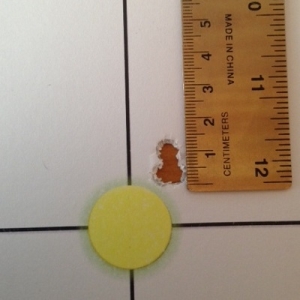 Elephant hunted with a 458 Win Mag, loaded with a 500 gr Peregrine Solid Brass bullet from 13 yards, full frontal shot. 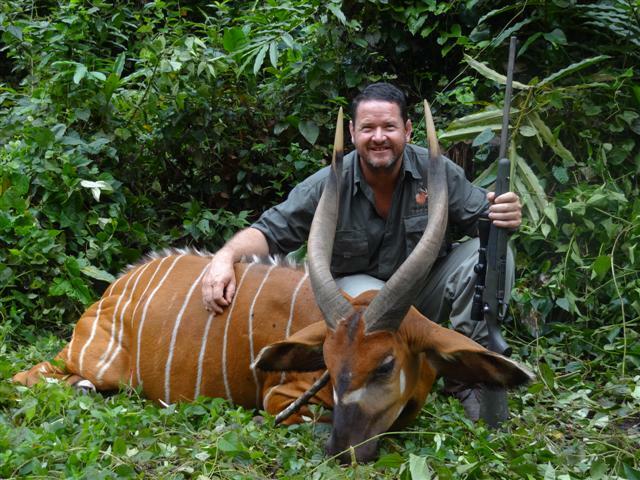 Bongo hunted by Francois Roux with a 275H&H, loaded with a 300 gr Peregrine BushMaster bullet in the Congo jungle. 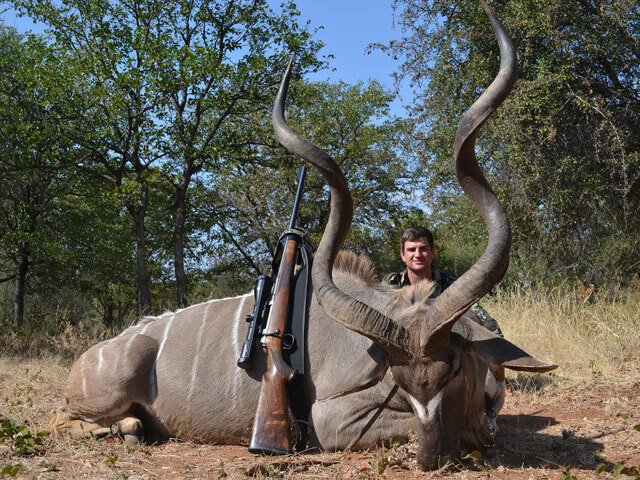 Common Waterbuck, hunted with a 30-06 Springfield loaded with a 180 gr Peregrine BushMaster bullet from 135 yards, quartering away. 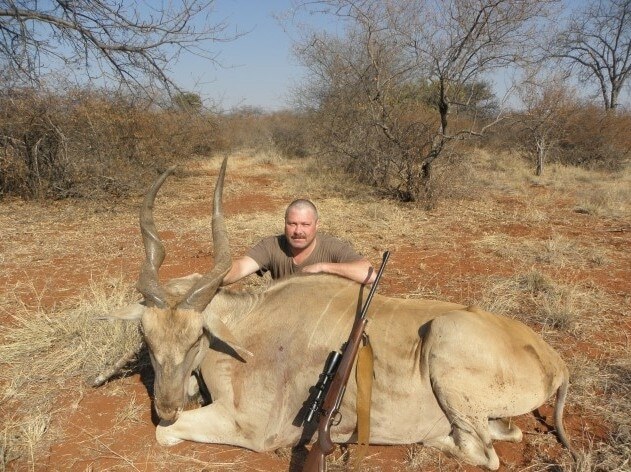 Read his lifetime trophy story here. 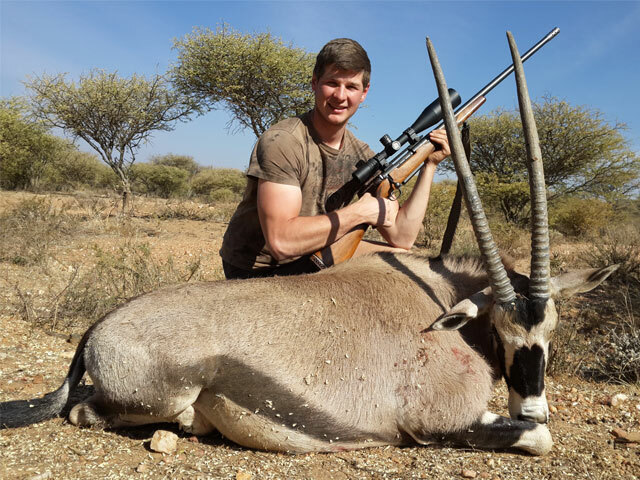 Oryx hunted by Adriaan Rall Jr with a 378 Wby loaded with a 236gr Peregrine PlainsMaster bullet from 240 yards, broadside shot. 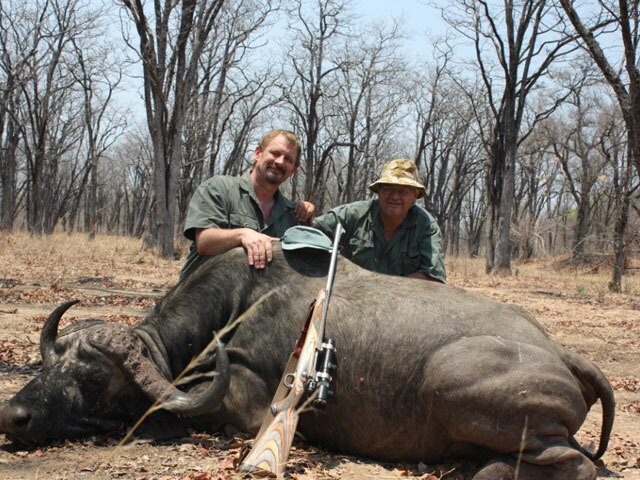 Cape Buffalo hunted by Wynand Kruger with a 375H&H loaded with a 300gr Peregrine Solid Copper bullet from 70 yards, the bullet impacting at a full frontal angle. 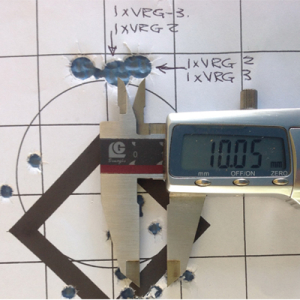 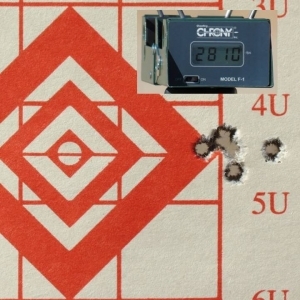 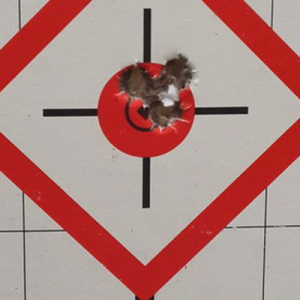 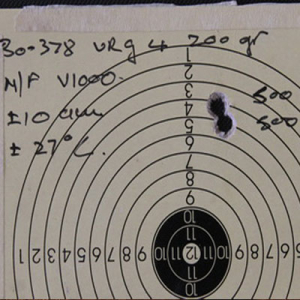 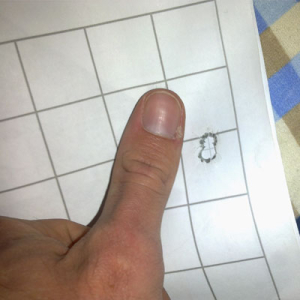 Hannes v Biljon’s 3 shot grouping with a 180gr Peregrine Match Reloading bullet at a distance of 110 yards with 300 Win Mag.